Coral Expeditions has announced a new 16-night voyage aboard the Coral Discoverer, sailing to the islands of the South Pacific. "The itinerary will celebrate the intrepid explorers who first reconnoitered the region while visiting some of the most significant sites of the Pacific theater of World War II. 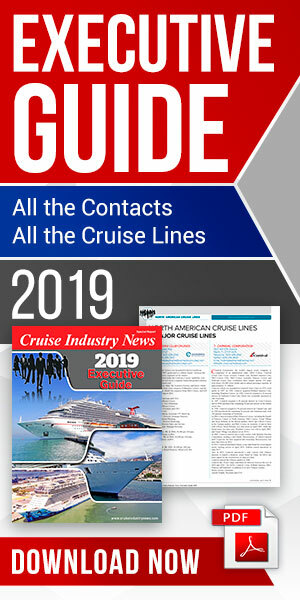 The cruise will offer an exciting opportunity to make lasting memories at sea amid the ongoing 75th Anniversary of U.S. involvement in the global conflict." the company said. During the cruise, the Coral Discoverer will sail into what the company called hidden lagoons, offering guests the opportunity to explore coral reefs and walk along volcanic calderas with the ship’s highly skilled expedition team. While on board, guests will be joined with Maritime Historian and Master Mariner, Peter Martin. With more than 20 years of experience sailing the South Pacific, Martin will offer a depth of knowledge and expertise that will add to the overall experience of the expedition. The Coral Discoverer will also sail to Guadalcanal Island, a backdrop for some of the most historical battles of World War II, the company said. The 16-day journey will come to an end at Tanna Island with a visit to the lower reaches of Mt. Yasur’s active volcano.